Perfect for any birthday guy or gal, this engraved mason jar is perfect for celebrating your day. 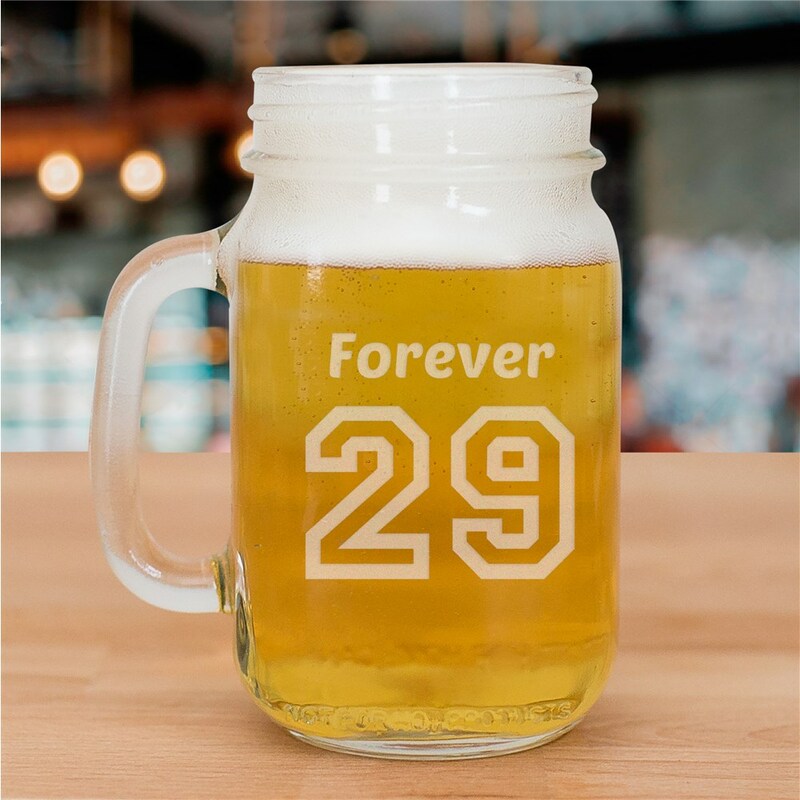 We'll custom engrave these Persoanlized Gifts for Him mason jars with any one line message and any age so it's suitable for anyone over 21! All Personalized Men gifts are customized FREE and ship FAST!